STRASBOURG, France – The European Court of Human Rights has ordered Italy to pay $20,000 in damages to Amanda Knox, an American student studying abroad who spent four years in an Italian prison before being acquitted for the 2007 murder of her then-roommate, Meredith Kercher. Amanda Knox during the the 2009 trial. Photo courtesy of AP News P.P Cito. A seven-judge panel of the ECHR concluded Italy was at fault for failing to provide Knox a lawyer during the initial police interrogation beginning on November 1, 2007. The court specifically referenced Knox’s vulnerability at that time as a foreign young woman, very new to the country, and not fluent in the language. 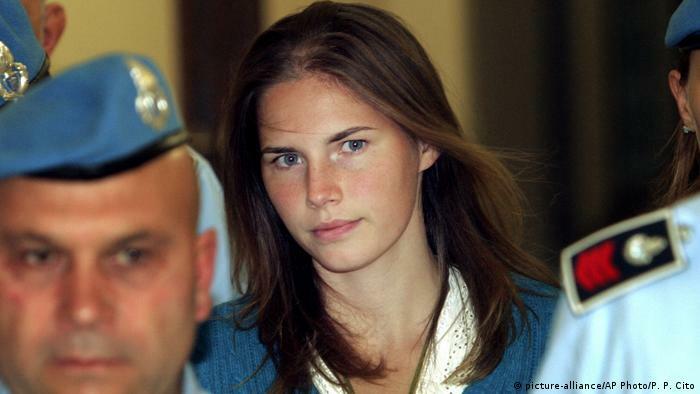 Knox and her former boyfriend, Raffaele Sollecito, were the initial suspects in the sexual assault and murder of Kercher, a London native who was placed as Knox’s roommate while also studying abroad in Perugia. The pair was convicted of sexual assault and murder in 2009, but Knox was convicted of an additional charge for the malicious accusation of Diya Lumumba- a local bar manager, for alleging his responsibility for Kercher’s murder. Knox retracted these statements shortly after, but police did not strike it from their records and the conviction still stands. In her complaint to the ECHR, Knox alleged she was subjected to gross and inhumane treatment while in police custody, citing specific instances where she was slapped, deprived of sleep, food, and water, and was forced to speak at times under extreme psychological stress and pressure without an attorney present despite her requests. Knox’s initial complaint during the trial was dismissed by the court as being unsubstantiated, on the ground that there was insufficient evidence to prove the maltreatment she was alleging. The initial interrogation went on for 53 hours over a period of five days, without a lawyer, and solely in Italian. Ivory Coast native Rudy Hermann Guede was later convicted for Kercher’s murder, after DNA linked him to the crime, and is serving a 16-year sentence. While Italy’s Court of Cassation overturned Sollecito and Knox’s convictions citing lack of evidence in May of 2015, Knox’s charge for malicious accusation remains and is the subject of a pending appeal. The court held that Italy’s failure to provide either a lawyer or professional interpreter negatively affected the legal proceedings and accuracy of the information she was giving during the interrogation. The award was comprised of €10,400 in damages, and €8,000 for legal costs and related expenses, approximately $20,000. Attorneys for Knox hopes this ruling will be persuasive in their appeal of the malicious accusation charge. NPR- Italy ordered to pay damages to Amanda Knox- January 24, 2019. Daily Mail UK- European court awards Amanda Knox damages for having her rights violated in her murder trial- January 24, 2019. POLITICO- Court orders Italy to pay damages to Amanda Knox- January 24, 2019. Brianna Ferrante is a first-year law student at Syracuse University College of Law and news writer for Impunity Watch. She holds a bachelor’s degree in Political Science & International Relations from Monmouth University and has been published in The Outlook for her coverage of both international business and domestic politics.